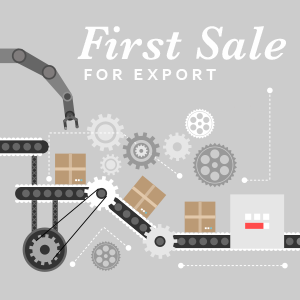 Did You Know First Sale for Export Isn't Just for Apparel? First Sale for Export is a duty mitigation program that is designed to reduce the dutiable value of eligible products imported into the United States. Usually, an importer would pay a higher duty amount based on the value of goods purchased from what is known as the ‘second sale’. This is the transaction between the importer and the middleman (vendor) which usually includes the middleman’s markup. Through the First Sale for Export program, importers are able to declare value on the goods purchased on the ‘first sale’, or the transaction between the middleman and the factory. In declaring First Sale valuation, an importer is able to cut out the middleman markup and to minimize the amount of duty paid when importing goods into the United States. This duty savings program is especially popular among the textile and apparel industries where commodities have excessive middle man markups and duty rates as high as 32%. With a large potential to save on duty, it logically follows that this industry makes up the majority of the goods declared under the First Sale program. 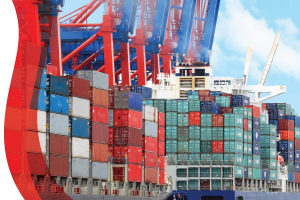 As a part of U.S. Customs and Border Protection’s (CBP) commitment to educate the Trade Community, Informed Compliance Publications (ICP’s) provide guidance around complex import regulations. On July 9th 2014, CBP issued a draft revision to the ICP entitled “Bona Fide Sales & Sales for Exportation to the United States”. This ICP is key in outlining the requirements to appraise imported merchandise using the First Sale for Export value. In this early draft, CBP is proposing significant changes to this 2005 publication.